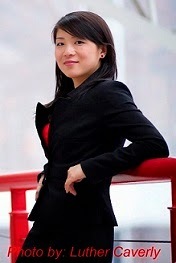 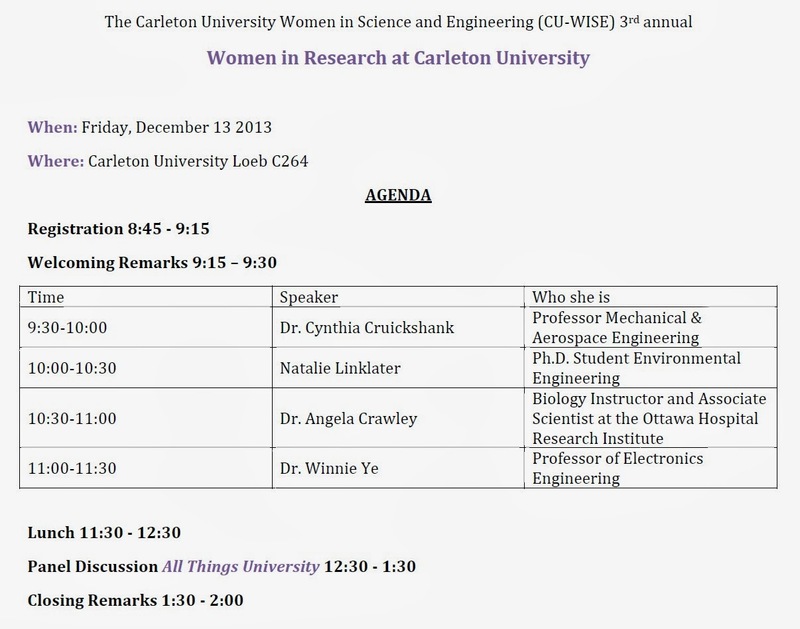 CU-WISE is continuing with its mandate to inspired and be inspired by presenting our third annual Women In Research. 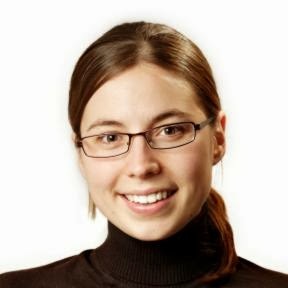 This event invites High School girls from the Ottawa are to hear first-hand from leading female researchers at Carleton about what inspired them to go into science and engineering. 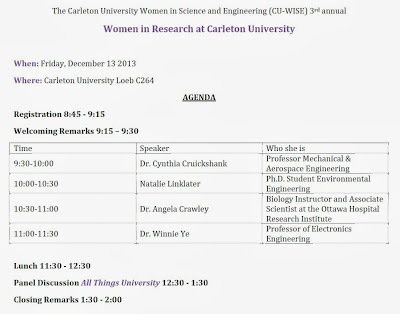 Women In Research takes place on December 13th in Loeb C246 (tunnel level) from 9 a.m. to 2 p.m. and will feature talks from Mechanical and Aerospace Engineering Professor Dr. Cynthia Cruickshank, Biology Professor Dr. Angela Crawley and Electronics Professor Dr. Winnie Ye as well as our very own CU-WISE Co-Chair and Environmental Engineering PhD student Natalie Linklater. 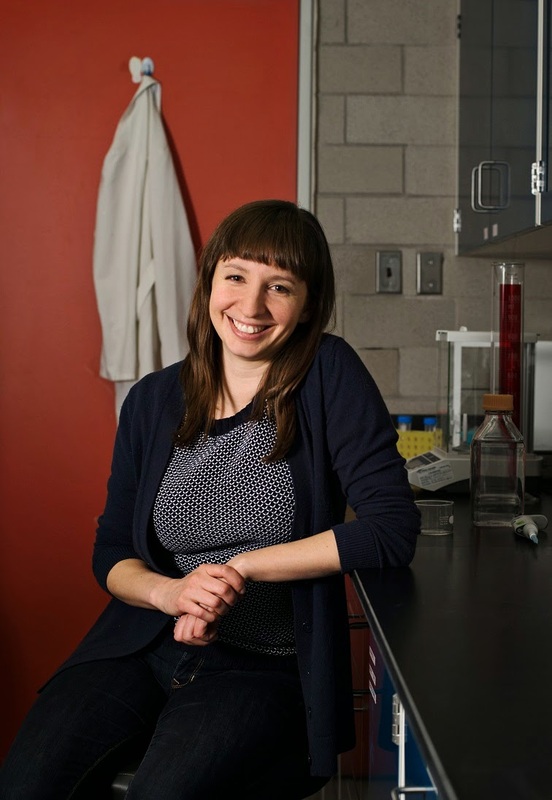 The event will close off with an opportunity for our invited guests to ask everything and anything to a panel of current science and engineering students in a session we like to call "Everything University" featuring the CU-WISE Officers.